Fleshy. Apricot. Peachy. Tawny brown. Taupe. Golden rose. The Sahara is all of these colors depending on the light and which way you look. But mostly, it's a glimmering rose gold. 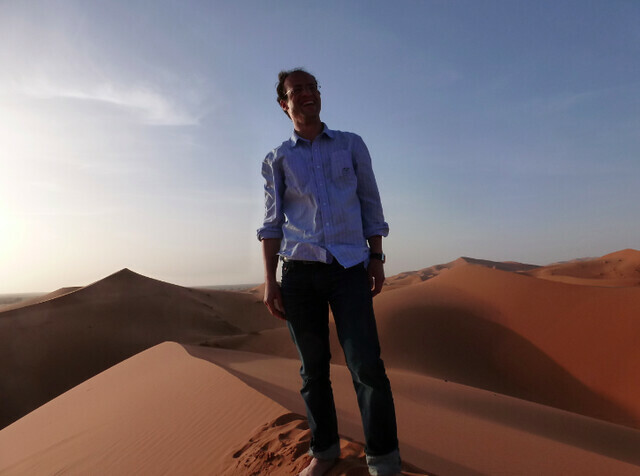 We arrived in Merzouga today and rode camels into the Sahara to see the sunset from high on the dunes. 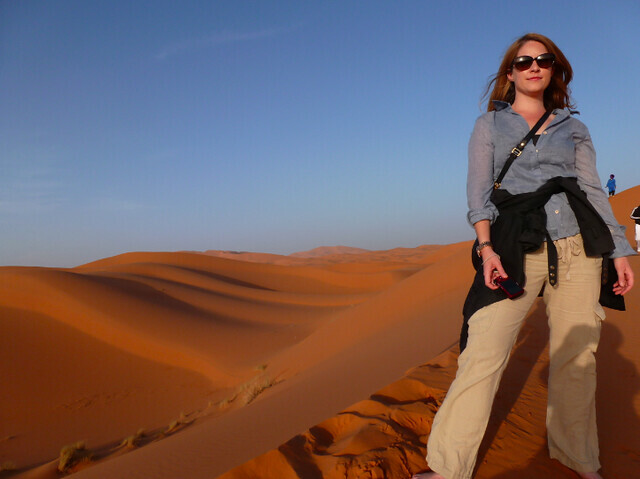 I'm pretty sure the Sahara (I keep writing Sarah) is one of the most beautiful things I've seen on earth. 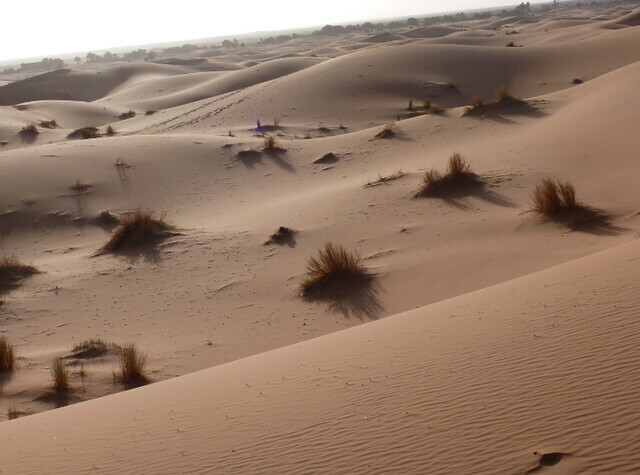 The wind causes ever-shifting ridges on the sand and constantly changing dunes. It's sensual. Exotic. An ocean made of sand. An endless ripple of rose gold as far as the eye can see. 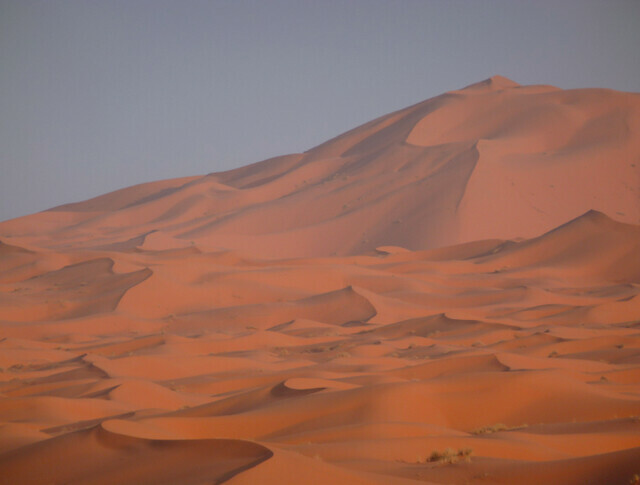 It's the Sahara. I just like saying it. When I sat down to write this post, a Berber band came out onto the terrace playing Sarahian music. So, I've got a few pictures for you, but have more to share in a later post. Different colors whichever way you look. 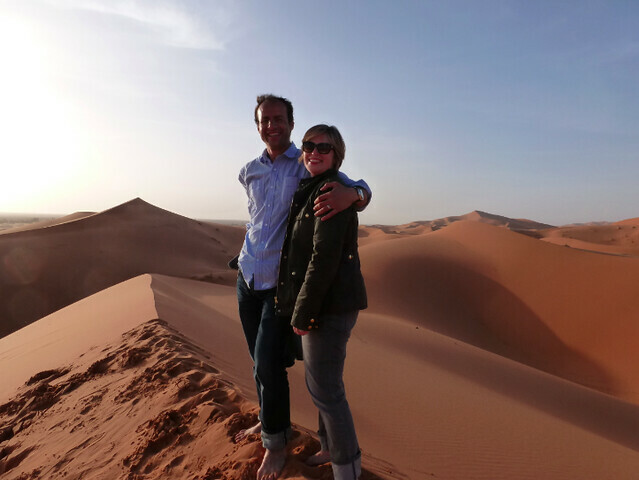 Idriss and Amy on top of sand dunes. I think that's my favorite picture ever of Idriss. He looks so happy. We were all in such awe of this wild place. 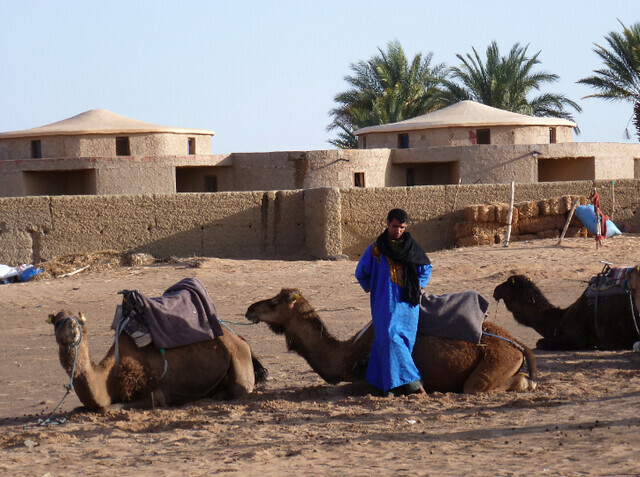 Our camels and guide. More to come! I love this picture, too. I can't overemphasize the giddiness we all felt playing in the sand dunes. I can't wait to share more.